We know how Trump feels about pipelines and promoting fossil fuels. The public should now whether this insane Trump policy extends to the National Parks. Was it a career bureaucrat’s fear of Trump? Or was it Trump policy? 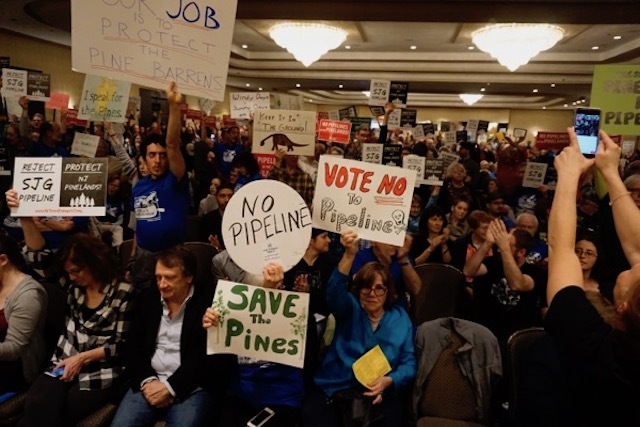 What explains the fact that the National Park Service (NPS) representative on the Pinelands Commission abstained from voting last Friday on the controversial South Jersey Gas Co. pipeline? What explains the fact that NPS abandoned its prior official position of opposition to the same pipeline? Some may recall that the NPS representative to the Commission voted NO in a January 2014 7-7 tie vote. That vote represented a NPS policy decision. Therefore, the current representative’s abstention of Friday represents an abandonment of the prior NPS policy. The NPS representative to the Commission who voted NO in January 2014, retired in December, just prior to the Friday vote. 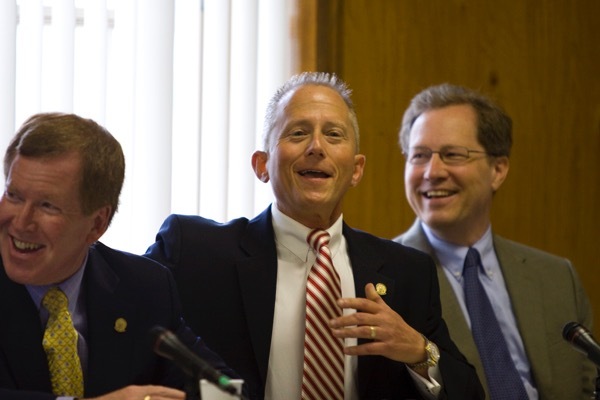 According to current NPS representative Frank Hays’ (see his bio) remarks during the vote on Friday – after asking Executive Director Wittenberg a good question – he claimed he abstained because he lacked sufficient information and time on the Commission to make an informed vote. That claim does not pass the straight face test. Here’s why. First of all, a foundational slogan of US government is that we are a nation of laws not men. The rule of law is fundamental to governing. Agency decisions are made in accordance with law and science. Representatives of agencies are supposed to act in accordance with and represent agency policy, not their own individual preference. Accordingly, NPS policy is not made by individual preferences. Retirement of an individual NPS representative should not change NPS policy. Second, NPS policy on the SJG Pinelands pipeline was established back in January 2014. That policy must have had a technical rationale that the NPS representative to the Commission cleared with NPS upper management and that rationale was incorporated in NPS administrative files. Given the controversy and high profile of this pipeline, Mr. Hays, the current NPS representative, had to be aware of the prior 2014 decision and the NPS rationale for that decision. In Trump’s first weeks in office – just like his advisor Gov. Christie – Trump issued sweeping Executive Orders to rollback environmental regulatory protections. He directed the US Army Corps of Engineers to reverse the Obama Dakota Access pipeline environmental review process and ordered the State Department to reconsider the Keystone XL pipeline. Trump has pledged to abandon the Paris Climate Accords and withdraw EPA’s Clean Power Plan. He nominated Scott Pruitt, who has sued EPA 14 times and advocated for the oil and gas industry, to head EPA. The head of Trump’s EPA Transition Team threatened to abolish EPA. So, the only question in my mind is whether Mr. Hays abstained because he feared for his personal career or whether the Trump NPS leadership directed his vote. But it could be only the former and that Mr. Hays is a careerist bureaucratic survivor. Almost all career bureaucrats that survive and manage to be promoted to middle management positions, put their personal career above principle. They know which way the political winds are blowing, what upper level managers want, and when to duck. But if the abstention reflects a formal change in NPS policy under the Trump administration, then that is very bad and will set precedent for the upcoming vote on the NJ Natural Gas pipeline – as well as have national significance. Perhaps environmental groups could file a FOIA for NPS documents or an intrepid media could make inquiries to the NPS press office to clarify the rationale for Mr. Hays abstention and whether it reflects agency policy. [End Note: Yes, I understand that the Pinelands National Reserve is a unique management model and very different from a National Park in terms of NPS’ role and that NPS tends to defer to State and regional management. I also understand that the Jan. 2014 vote on the SJG MOA was a different vote than Friday’s vote on the revised SJG application. 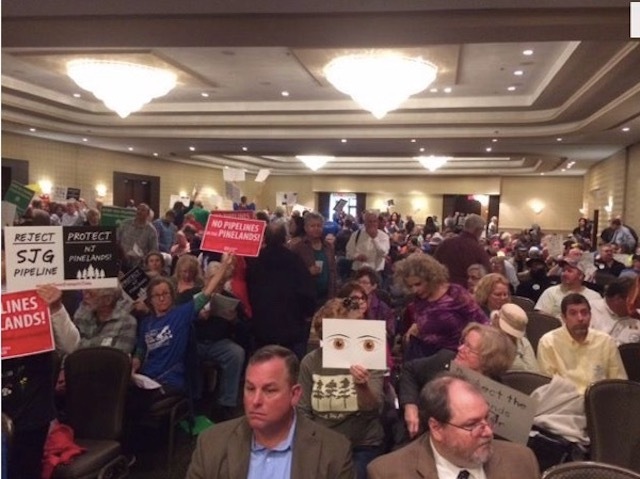 There was a huge turnout today of strong and loud opponents for the Pinelands Commission’s final meeting on the proposed South Jersey Gas Co. pipeline. The line outside formed early – hours before the 9:30 am start – and the 1,600 seat ballroom was 3/4 full – over 95% opposed (the union guys stayed home – they knew the deal was in). I was one of the over 100 people turned away and/or forced to stand for hours in the cold rain in the previous fiasco at Browns Mills, so I made sure I arrived early (it was still dark when I got there and I was the first on line and to sign up to speak – absolutely to no avail!). Commissioner Barr, a political hack with no Pinelands experience who was installed as a puppet by strong armed tactics by Gov. Christie and Senate President Sweeney, had the balls to announced in the press that he would vote to approve, 3 days BEFORE the hearing. He [Barr] warned of a “cascading effect” caused by the plant’s possible shutdown, including higher local property taxes, the loss of jobs and Upper Township residents leaving the area. “They will move because their property taxes will go through the roof,” he said. Keeping the plant open would create more jobs for the region, Barr said. The facility currently does not run every day of the year, but its conversion to natural gas would allow it to operate constantly, requiring more workers to keep it humming, he stressed. 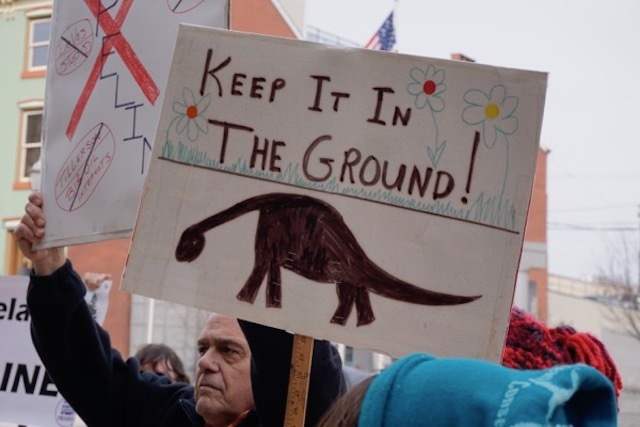 It was tragically fitting that the temperatures outside were soaring to a record-breaking 76 degree February day, as the Commission blindly and corruptly voted to approve a massive $500 million regional pipeline and gas power plant infrastructure project, fueled by Marcellus shale fracked gas. 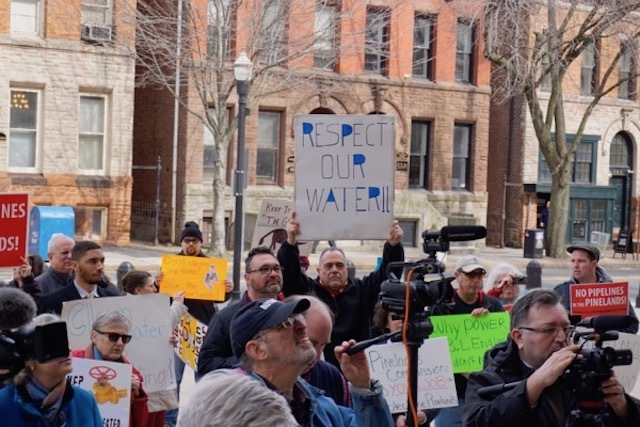 The turnout was fantastic, but, while there was a time for the Woody Guthrie singing, the tactics failed to reflect the actual procedural actions by the Commissioners. The protesters failed to understand the process, at times drowning out the superb opposition statement by Commissioner Lohbauer, and yet at other times failing to understand the implications of the defeat of Lohbauer’s motion to table and get more aggressive and try to shut the meeting down and prevent the vote of approval. At one point, as I was attempting to educate the crowd as to what was going on, I was accosted by a young man I can only describe as a Food and Water Watch cult member. He was ignorant of what was going on in the meeting and he mistakenly thought I was an agent provocateur. I had to ask the State Police to make him get out of my space, before I had to defend my space physically. 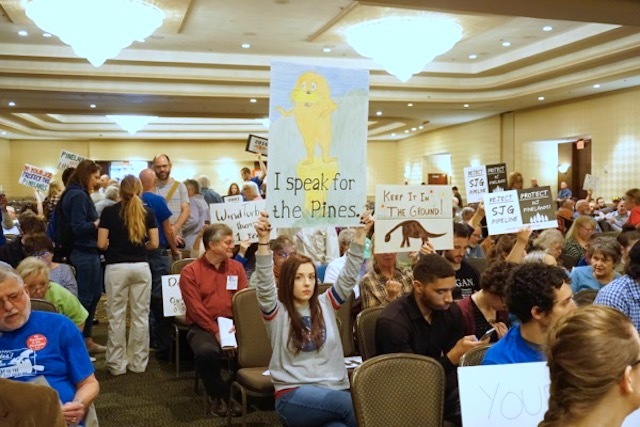 One interesting and disturbing note: the new National Park System representative on the Commission asked some relevant questions – including about this untold Pinelands history – but he abstained in the vote. His predecessor voted NO in 2014. But the NPS representative now serves in the Trump administration and the President is personally championing pipelines (KXL and DAPL). There are solid grounds for litigation and Commissioner Lohbauer’s statement greatly supported that litigation. There is also the direct action option. None of the commissioners who voted for the pipeline spoke about why they were voting the way they were, although Galletta said he had enough information to vote today, after years of hearing from all sides. State Senator Jeff VanDrew released a statement of his support, saying opponents had threatened him. Fittingly, given the sham of the process, Friday’s vote preceded rather than followed the public comment period. Hundreds of people, the majority of whom adamantly opposed the project, came to the meeting knowing full well that the fix was in. Many stayed for at least two hours after the vote, when they were finally given the opportunity to take their turn at the microphone. Most expressed their disgust with the commissioners who sold them out. If Pinelands Commissioners somehow can’t figure this out – or can’t see through Wittenberg’s smokescreen – it is a sure bet that a judge will. 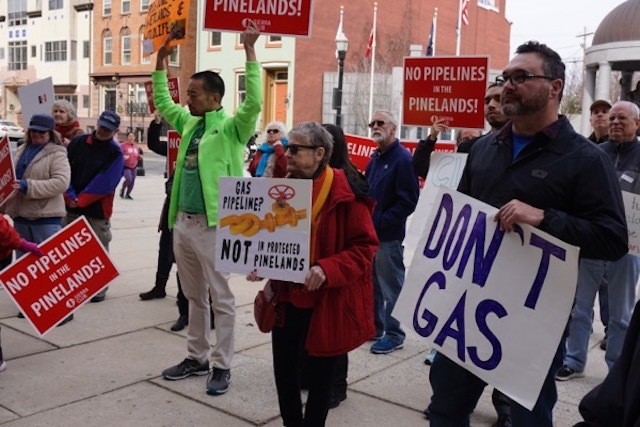 Expert reports submitted to the Pinelands Commission found that the South Jersey Gas Co.’s (SJG) proposed Pinelands pipeline – a contractually dedicated pipeline that would exclusively serve the BL England power plant -would have huge excess capacity, more than 5 times the capacity necessary to serve the BL England plant. That would be like constructing a 4 lane highway to serve as a private driveway. The Report: “South Jersey Gas Pipeline Review: Analysis of Likely Actual Use of Proposed South Jersey Pipeline by BL England Plant and Assessment of Excess Capacity Available to Serve Customers Primarily Outside of Pinelands” (January 2017) was prepared by energy consultant Skipping Stone, LLC, for the Pinelands Preservation Alliance (PPA). The SJG proposed 24 inch diameter pipeline is a high pressure pipeline. It is designed for 700 psig. The higher the pressure in the pipeline, the more capacity to transmit gas. The relationship is non-linear, i.e. a 700 psig pipeline carries more that twice a 350 psig pipeline. SJG has claimed it will currently operate the pipeline at a far lower pressure, just 437 psig. They made no commitments about the future. So the pipeline has a huge excess capacity to serve future growth. 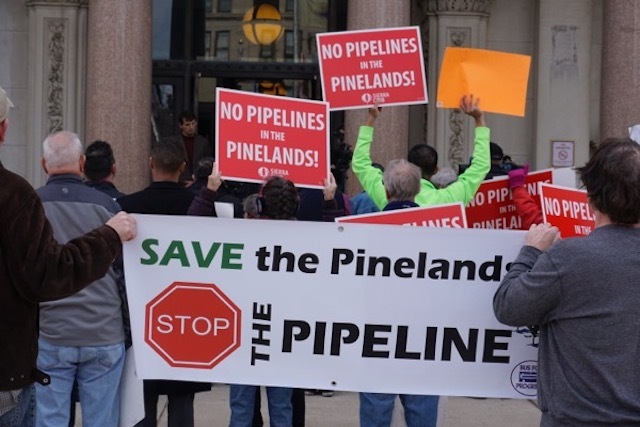 Thus far, the debate about whether the SJG pipeline complies with the Pinelands CMP regulatory standard to “serve primarily only the Pinelands” has been limited to basically two things: 1) whether the BL England plant is located in the Pinelands; and 2) whether the electric power produced by BL England would serve residents and businesses in the Pinelands. Arguendo, even if these arguments are assumed to be true, i.e. that the BL England plant is located in and serves primarily only the Pinelands, the huge excess capacity CAN NOT SERVE THE PINELANDS! The excess capacity argument is a killer. 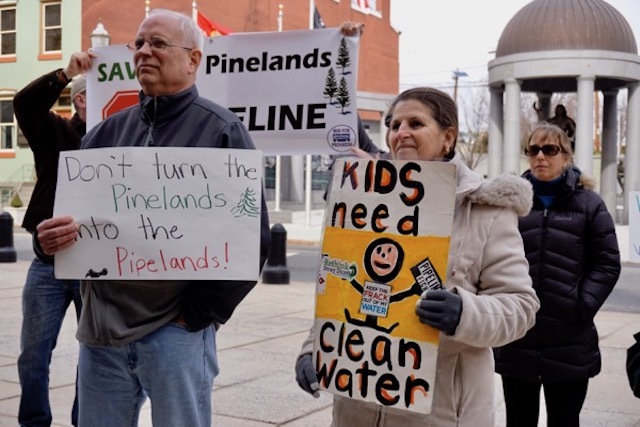 No way the pipeline would “primarily serve only the Pinelands“. 3) although the natural gas pipeline is designed at a maximum allowable operating pressure of 700 psig, it will operate at a maximum pressure of 437 psig due to constraints in the applicant’s gas transmission system (@ p.3) …. Note that BPU’s analysis is based on SJG’s claim to operate at the lower pressure (437 psig), not the full design capacity pressure of 700 psig. Wittenberg not only acknowledged the excess pipeline capacity. Wittenberg built conditions into the approval that would essentially create loopholes that would allow SJG to expand gas service and utilize this excess capacity in the future. 9. Any future natural gas system infrastructure improvements, whether those improvements occur within or outside of the Pinelands Area, that may result in changes such as additional gas flow to the proposed 24 inch gas main or redirection of the proposed 125,000 MCF gas flow shall only be approved by a State agency if such approval is consistent with the standards of the Pinelands Comprehensive Management Plan (N.J.A.C. 7:50-4.81 (a)). 10. Within the Pinelands Area, any development, including but not limited to additional gas flow to the proposed 24 inch gas main or redirection of any portion of the proposed 125,000 MCF gas flow from the BL England plant requires application to the Pinelands Commission. Condition #9 appears to restrict future expansion, but it actually facilitates it. Given the precedent of the proposed SJG approval, a future Pinelands Commission would virtually have to issue an approval of a future SJG expansion. Condition #10 is not enforceable because it would not apply to future SJG expansion gas service to customers located outside the Pinelands, because the Commission lacks jurisdiction there. These conditions are extremely disturbing and not only with respect to the future use of the excess capacity built into the pipeline. It is possible that the pipeline would be built and the BL England plant could be cancelled and would not be built. In that case, ratepayers would be stuck wth a $60 million tab for a pipeline to nowhere! Stick a fork in it, folks. This dirty deal is dead. 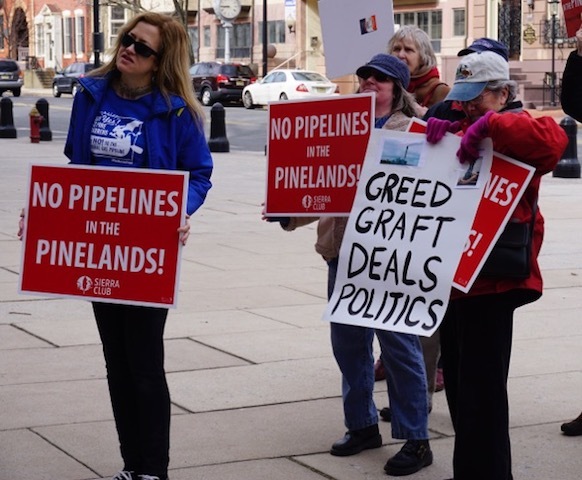 Pinelands protectors held a final Statehouse rally at noon today to draw sharp lines in the sand in advance of Friday’s Pinelands Commission meeting, where the controversial South Jersey Gas Co. pipeline is expected to be approved. Speakers rehashed the sordid story of how Gov. Christie – with the backing of the George Norcross South Jersey Democratic Machine and Norcross puppets Senate President Sweeney and Senator Van Drew – stacked and strong armed the Pinelands Commission and greased the regulatory skids at BPU and DEP to advance both the $400 million BL England power plant repowering and the $100 million SJG pipeline. 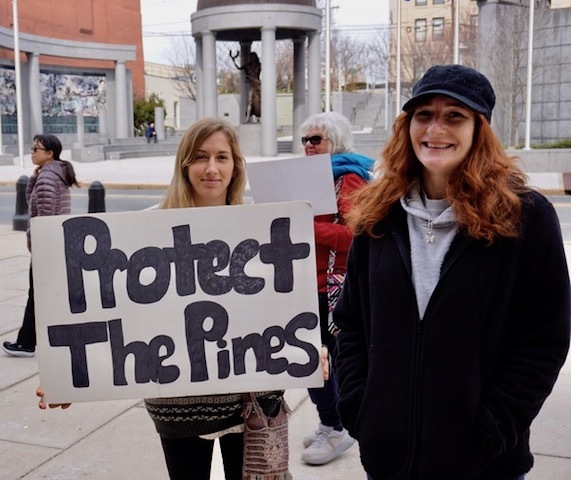 Activists promised a huge turnout on Friday for one last attempt to appeal to the consciences of Pinelands Commissioners and press them to honor their sworn oath the uphold the Pinelands Protection Act. The Pinelands Commission will meet on Friday February 24, 2017. The Appellate Division remanded the following development application back to the Commission for a final decision. The application is being recommended for approval with conditions. 1. SOUTH JERSEY GAS, City of Estell Manor, Maurice River Township and Upper Township, Pinelands Rural Development Area, Pinelands Forest Area and Pinelands Villages, Installation of 15 miles of 24 inch natural gas main within existing road rights-of- way in the Pinelands Area. Remarkably, the agenda for the meeting will result in the Commission vote on the South Jersey Gas Co.’s proposed pipeline with no public comment. 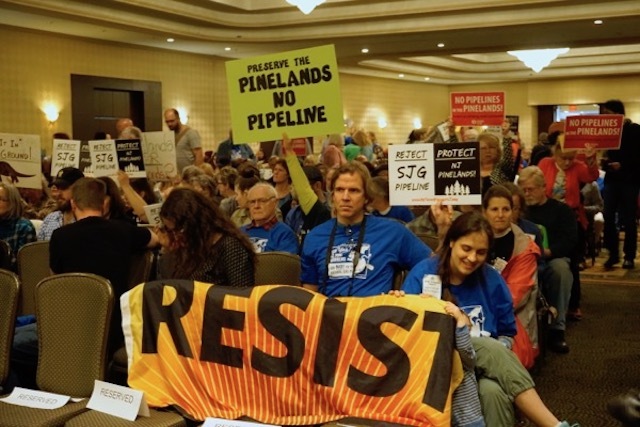 because this is a regular Commission meeting and NOT a public hearing on the pipeline, the Commission could vote to approve the SJG pipeline BEFORE the public comment section of the meeting and allow the public comment AFTER approval! I doubt they would be so brazen, but they could do it. 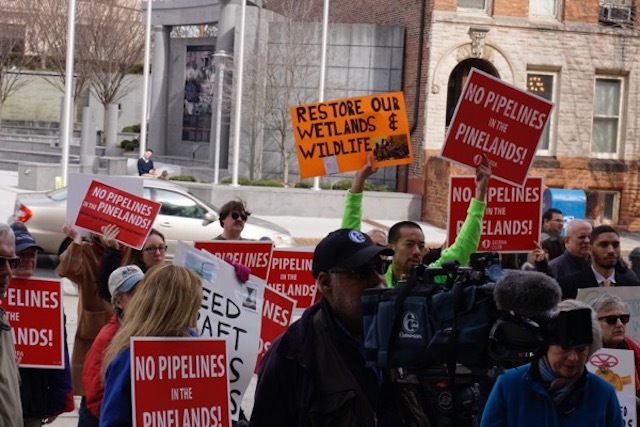 The pipeline is not named on the agenda – nor is the Court’s remand or the Executive Director’s recommendation for approval with conditions, an unprofessional, non-transparent stealth move given the extreme controversy surrounding this pipeline. The agenda and packet were released publicly late Friday and today (Monday) is a holiday, so the public will have just 3 days to react to this brazen move, the latest in a series over a 4 year saga. Undoubtedly, many people will review the agenda (and not the packet) and be misled. The public comment period for the proposed pipeline is closed. There was a written comment period but technically, no formal “public hearing” on the proposed SJG application. The public hearing process was limited to regular Commission meetings, which began at 9:30 am and lacked adequate capacity to allow hundreds of people to testify. The Commission cancelled a regularly scheduled meeting on February 10, which reduced an opportunity for the public to present comments to the Commission. Worse, the Commission failed to fully comply with the Appellate Court’s remand, particularly regarding the need to revise the CMP to remedy deficiencies in the “coordinated state agency permitting” provisions of the CMP and -implicitly – to restrict the powers of the Executive Director that had been abused and rejected by the Court. Additionally, the public notice included the Executive Director’s finding of consistency with the CMP and recommended approval – which was struck down by the Appellate Division as a violation of law. Instead, the public notice and comment should have been limited to the proposed revised SJG application. The public has not had – and will to have have an opportunity at Friday’s meeting – to review the draft proposed Resolution of approval or the Executive Director’s Recommendation Report for approval or the adequacy of the conditions of approval. That is a result of the fact that Commission procedures do NOT require an opportunity for public comment before a proposed Resolution is introduced, seconded, discussed, and then voted upon. However, the Commission has the discretion to modify its procedures on a case by case basis to allow public review and comment on the proposed Resolution of approval, once it is introduced. Equally, there has been no opportunity for the public to review the Executive Director’s recommendations or the proposed conditions of approval. 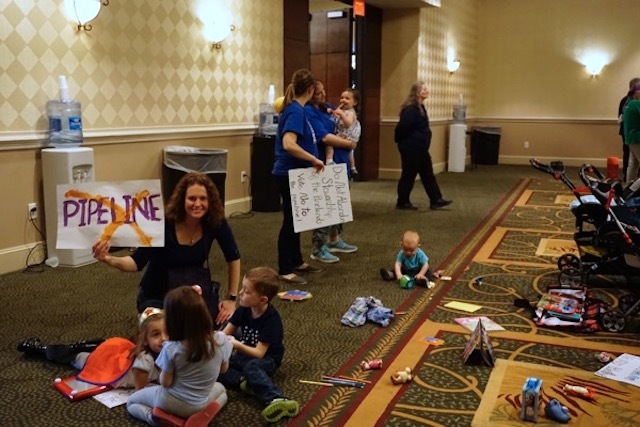 Given the extreme controversy and the lack of public review of the Resolution, ED recommendations and conditions, the Commission should allow public comment period BEFORE they vote on the pipeline. I can’t imagine the scene if 1,500 people show up at the “Grand Ballroom” on Friday and are not allowed to speak before the Commission approves the pipeline. [End Note: I currently am reviewing ED Wittenberg’s February 27, 2017 “Recommendation Report” (A Friday night massacre! Way at the end of the packet!) and will post in future an analysis of what is says. I’d have liked to have an opportunity to file an OPRA to determine whether SJG lawyers wrote this one, like they did the last time!!! !